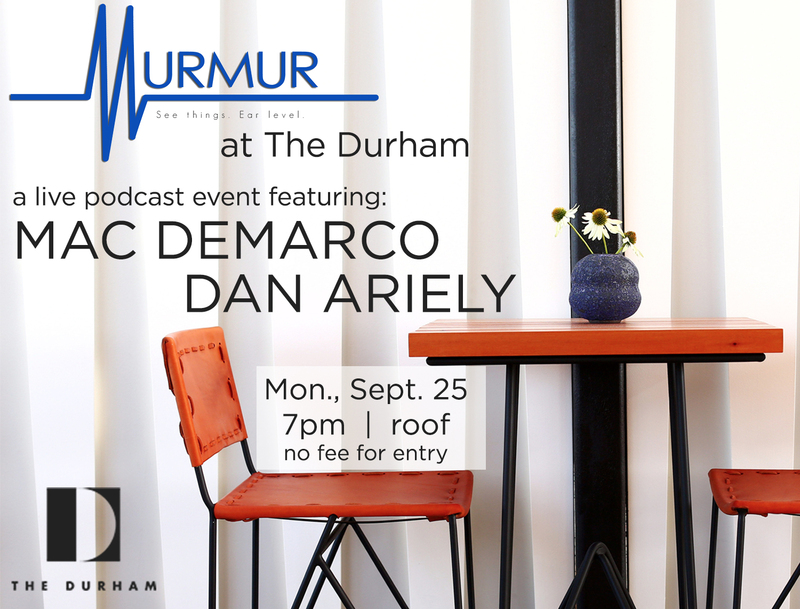 Monday, September 25, 7pm on the roof: The Modern School of Film’s Robert Milazzo presents a live recording of Murmur Radio, a show that explores movies, music, and media with weekly guest tour-guides from all sides of the brain. This week, it’s a left brain/right brain pairing as indie rocker Mac DeMarco stops in during his This Old Dog tour to talk with author and behavioral economist Dan Ariely, who studies decision-making and irrational behaviors. Admission is free. After the talk, head over to The Carolina Theatre for Mac DeMarco’s show. Tickets and information here.